Keyshia Cole is a platinum recording and Grammy-nominated artist with multiple hit records such as, Never, I Changed My Mind, (I Just Want It) To Be, I Should Have Cheated and Love, to name a few. Her success in the music industry has paved the way in her endeavors as an entrepreneur, tv personality and record producer throughout her career. She is bringing that same fire and love within her music to perform live in concert at Miami Beach, FL for a special Mothers' Day Extravaganza event, catering to the mothers of all generations. Mother's Day is an occasion which is celebrated in various parts of the world to express respect, and love towards mothers. The day is an event to honor the contribution of mothers to acknowledge the efforts of maternal bond and the role of mothers in our society. 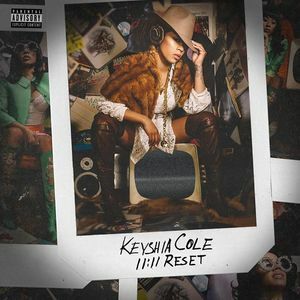 There is no better artist to express love than Keyshia Cole. Join us for an evening full of fun surprises, laughs and great energy that translates into The Ultimate LiVE Experience.